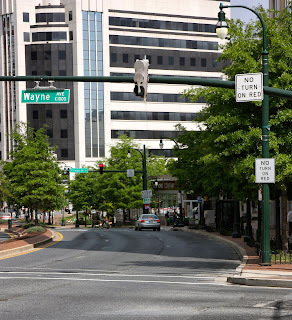 A few reasons my husband and I selected the Downtown Silver Spring area a place to call home include the walkability factor, affordability (back in 2010 at least), being close to the metro, and living within a few miles of our nation's capital. We wanted to live in a walkable area where we wouldn't have to deal with parking drama for house guests or ourselves yet we could go without a car if need be. I know that at the time that sounded like a tall order for our Realtor Joe from Metro Homes Realty, but he pulled through and led us to this great neighborhood. Recently on a gorgeous Sunday, I had plans to meet friends for a bottomless brunch in Chinatown. Instead of riding my own bike due to the circumstances of free flowing mimosas, I decided to Capital Bikeshare down so I could Metro back. My other options were: zip car, bus, or cab to Chinatown. Metro takes approximately 24 minutes (including approximate walk to the station). Cost is $2.70 off peak or $3.45 during peak hours. Depending on your proximity, you can get in some good walking and come closer to your daily quest of hitting 10,000 steps on the pedometer. However, since I needed to get to my destination with the certainty that I would make it on time, I immediately ruled out metro there because of the ongoing saga that the trains have no consistency on the weekends. 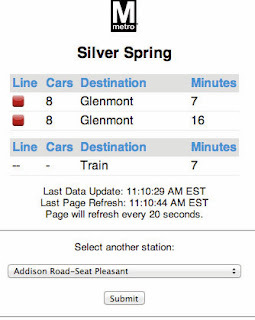 I still decided to take a peek to see if by some stroke of chance this would be my lucky Sunday, but unfortunately, there was no sign of a red line train towards Shady Grove. Being that I now have a new Bikeshare station just two blocks from my place on Spring & Georgia, it was a gorgeous 58 degrees out and I hadn't been to the gym yet, that seemed like the right thing to do. 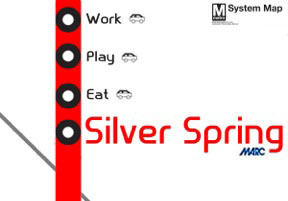 I knew I had to plan for the time it would take and leave extra early since it would take me three times as long as if i took metro (when it's on time). It took me about 50 minutes (with two quick stops for an ATM and water). Granted, I'm not an avid biker and I normally just use my own bike around DTSS to run errands, go to the grocery store, go out to dinner, etc. In fact, in the past ten years, the furthest I've ever been on a bike prior to my recent Bikeshare escapade was to Mark's Kitchen in Takoma (which by the way had really great food; that's for another blog post). So as you can deduce, someone who is a more experienced biker would probably make it in less time. Bikeshare cost a total of $9 ($7 for the 24 hour pass and then $2 for exceeding 30 minutes but not going over 60. Had I gone over the 60 minutes, I would've been charged a total of $13 ($7 for the 24 hour pass and then $6 for going over 60 minutes but not exceeding 90). Most of the ride was downhill with three small up hills so it made for a relatively easy bike ride for someone of my elementary bike level. I also enjoyed a friendly Sunday morning DC, with many "good mornings" from locals sweeping or hanging outside which was nice. 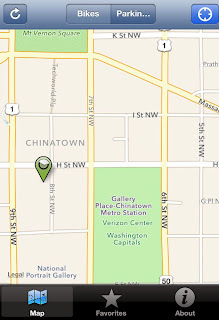 When I arrived to Chinatown, I quickly pulled up the Bikeshare app to find the closest dock to park. Luckily it had a few spaces left. Bus (#70) would take 68 minutes total time (includes walking .5 of a mile from where I live to catch the bus) but the cost would've been most feasible at $1.60 if I had that kind of time. Uber would take about 30-40 minutes and would cost about $34-$43 (total including tip) to Chinatown, assuming the demand is low and there are many cars around. However, Uber can be a tricky option coming home from that area, because if there is an event (ie, H Street festival) and many people are looking for cars, Uber can cost as much as $75 to return to DTSS in some cases. The upside is you don't have to use cash or even have your credit card with you. Everything gets charged to your account and you hail your car with the touch of a button. There is also usually very little wait time. Sun Cab fare would take about about 30-40 minutes and would cost about $20-$23 plus tip. 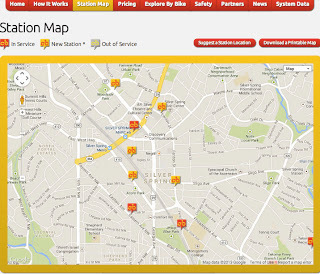 The pick up is at your residence and if a car is available within ten minutes from when you call, they are reliable. You could also walk over to Kitchen Bar and scoop up a cab there as well for a similar price range but then you have to factor in the walk time to the cabs. Zipcar would take about 45-60 minutes total including walking to the car location and the drive down. Assuming you've already paid the $25 one time application fee, it would cost $8.25/hour. The upside is that it's on your time frame and if you had friends with you, you could split it and it would be very cost effective. The downside is you have to drive around and look for a zip car spot to park it in. I'm curious as to what Rapid Bus Transfer would cost and the time it would take or how far down Georgia it would even go. 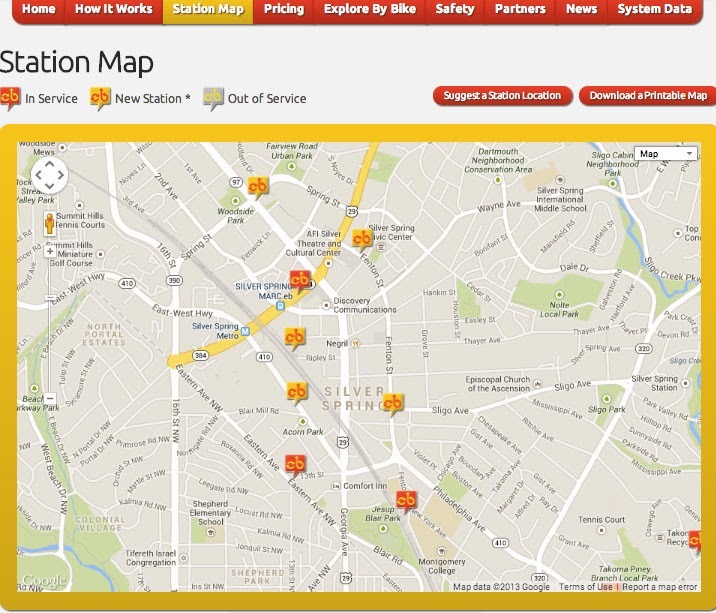 My biggest issue with Bikeshare was not from Bikeshare itself, it was from the lack of bike lanes in Downtown Silver Spring and part of DC. It got a little worrisome at times because some cars had no awareness and I almost got steamrolled when a car decided to turn right on green and didn't think that there would be a biker that would be going straight in a makeshift bike lane to the right of him (which was also my mistake). So after that near catastrophe, I shifted to the sidewalk where I got a mean-mug from a group of people who wanted to enjoy their beautiful Sunday walking very slowly five deep across the sidewalk. And I can't blame them - why would I have had the need to be on the sidewalk if proper bike lanes were in place. So back onto the street I went. Once I reached Georgia and Q near Petsworth, bike lanes surfaced and I had no issues and the rest of my bike ride was a pleasurable experience. The bikes themselves felt really durable and not too heavy. They have three gears, a bell, and handy storage space up front. Although my bike seat was a little high up, it was fine and didn't bother me at all. I'm not sure if or how you can adjust the seat if need be. Aside of the chronic bike lane issue, the only inconvenience to Bikeshare was that I had to carry my helmet to brunch and then back on the metro (#firstworldproblems). That's a minuscule worry and my choice for safety. So in conclusion, for my specific trip to Chinatown, Metro and Bikeshare were my best options for efficiency, green living, and cost effectiveness. Of course everyone's situation is different and it will change with destination, urgency, what the day brings with weather, the ongoing traffic situations, and depending on the time of day. 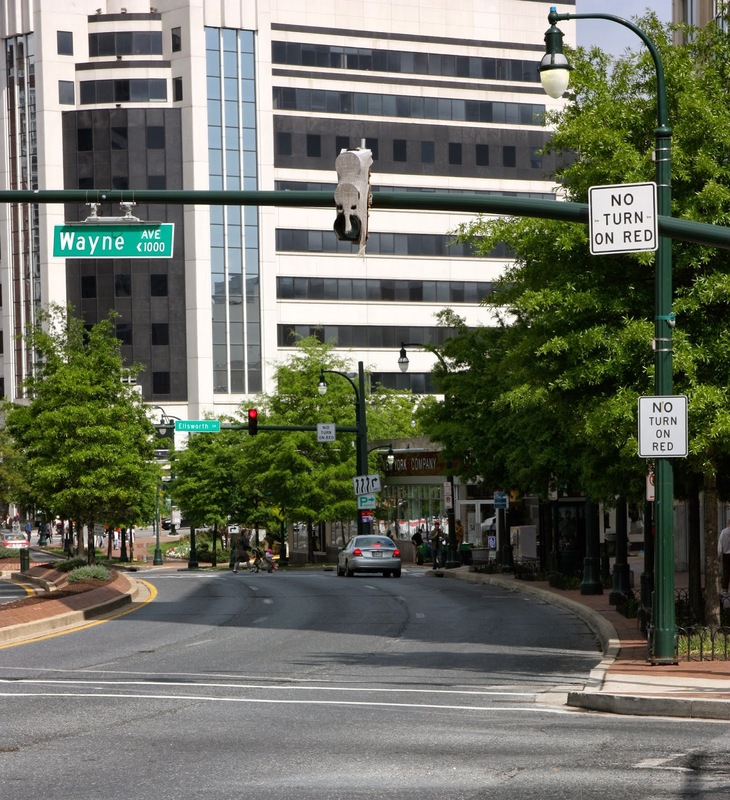 Regardless, I'm really happy to have so many options here in Downtown Silver Spring. It's nice to not have to be so car dependent and have many choices within walking distance. 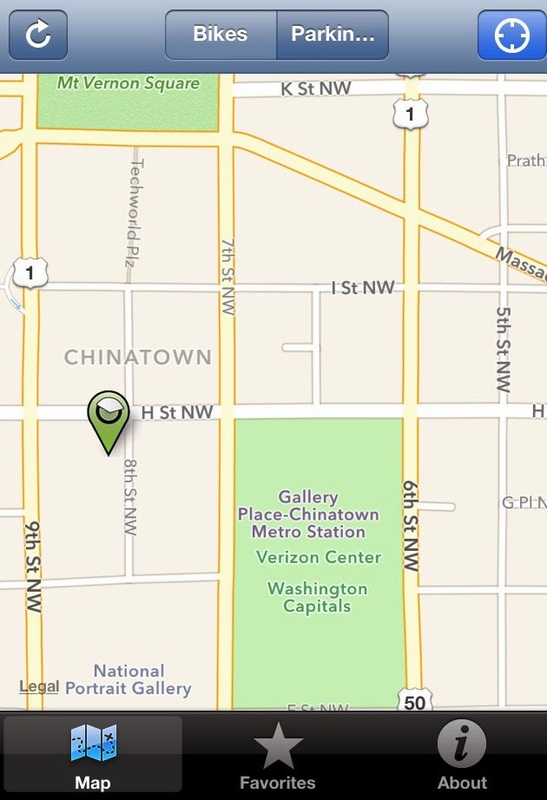 FYI, with respect to zipcar, if you are driving around Chinatown looking for a zipcar spot to park in you are doing it wrong and screwing over another zipcar member. Each designated zipcar spot has a car assigned to it which is where you pick up the car and where you have to return it. So if you park in a different zipcar location the person who picked up their car and is now trying to return it now has to call zipcar to report their spot is occupied and then try to find legal street parking nearby. On a Sunday, I would suggest riding your own bike (which is probably lighter and will not incur and overage charges on Cabi) downtown and take the bike back on Metrorail. As for your problems with cars and the absence of bike lanes in DTSS, try taking the lane on Fenton to the part of the Metropolitan Branch Trail that runs for 7/10 of a mile from Montgomery College to Piney Branch Road. Then you can take Piney Branch (wide outside lane, bike lane in some segments near Georgia) to 13th Street into the District. 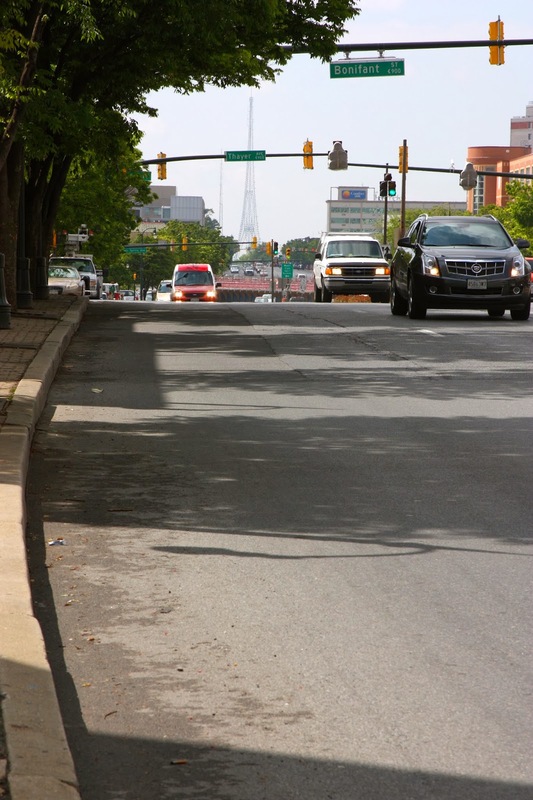 If you strongly prefer bike lanes, you could take 14th once you get south of Walter Reed (Aspen). Alternatively, take the Metropolitan Branch Trail all the way downtown - it is on road in some places, but still pretty good for avoiding heavy car traffic - although at some point you will have to cut west to get to Chinatown. Really Useful Efficient Travel Options you mentioned in post. Thanks for sharing it. Cheap Metro Airport Taxi services for you.